LP version. Limited red and purple vinyl. 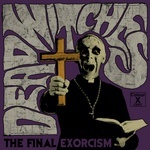 With The Final Exorcism, Dead Witches roar back from the studio on two wheels, Chuckalumba, where the fabled sessions for Dopethrone (2000) and Let Us Prey (2002) by Electric Wizard were recorded, as well as Dead Witches' debut Ouija (HPS 048CD/LP/LTD-LP, 2017). 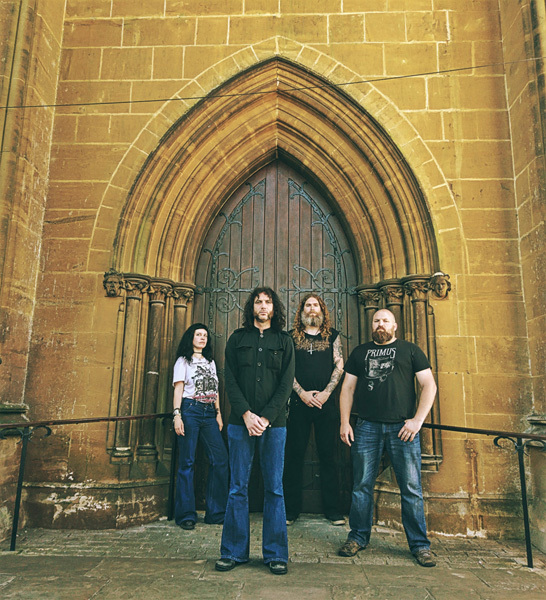 Sessions began on the full moon, 25th August in the heart of the New Forest deep in Dorset, the hallowed home of '90s doom legends Electric Wizard folklore, marking Mark's fourth time in both bands at Chuckalumba. John Stephens, operating the living museum of antique analog and valve-driven studio gear and tape machines captured a world of demons and possessions. A banshee wail of woeful siren song weaving a sinister world of horror doom, through waves of burgeoning fuzz and hell-sent thunder on the drum kit. Realizing the magnitude of what they had committed to tape, Dead Witches began to seek Doug Shearer, wizard of mastering and the final member in the coven, his previous also including Dopethrone and Let Us Prey. Mark Greening (formerly of Electric Wizard, also of Ramesses and With The Dead) and vocalist Virginia Monti (Psychedelic Witchcraft) joined forces to found the heaviest occult psych super-beast to see the light in 2016, taking shape as Dead Witches. Keeping it mysterious, the band has released a couple of snippets for their upcoming works. Metal Nexus has called the album "an alluring, somewhat hypnotic style of music steeped in vintage aesthetics and mystique." The debut album, Ouija is full of doomy, slow grooves. There's something occult in the riffing, and the classic doom drumming by the great Mark Greening meeting the warm vocal melodies of Virginia Monti. The album features six songs, about 33 minutes of unreleased music. Recorded in October of 2016 at the Chuckalumba, the same studio where Electric Wizard's Dopethrone (2000) was recorded. Beware as the witches are coming to take your soul. RIYL: Electric Wizard, Sleep, Pentagram. LP version. Mark Greening (formerly of Electric Wizard, also of Ramesses and With The Dead) and vocalist Virginia Monti (Psychedelic Witchcraft) joined forces to found the heaviest occult psych super-beast to see the light in 2016, taking shape as Dead Witches. Keeping it mysterious, the band has released a couple of snippets for their upcoming works. Metal Nexus has called the album "an alluring, somewhat hypnotic style of music steeped in vintage aesthetics and mystique." The debut album, Ouija is full of doomy, slow grooves. There's something occult in the riffing, and the classic doom drumming by the great Mark Greening meeting the warm vocal melodies of Virginia Monti. The album features six songs, about 33 minutes of unreleased music. Recorded in October of 2016 at the Chuckalumba, the same studio where Electric Wizard's Dopethrone (2000) was recorded. Beware as the witches are coming to take your soul. RIYL: Electric Wizard, Sleep, Pentagram. LP version. Purple vinyl. Mark Greening (formerly of Electric Wizard, also of Ramesses and With The Dead) and vocalist Virginia Monti (Psychedelic Witchcraft) joined forces to found the heaviest occult psych super-beast to see the light in 2016, taking shape as Dead Witches. Keeping it mysterious, the band has released a couple of snippets for their upcoming works. Metal Nexus has called the album "an alluring, somewhat hypnotic style of music steeped in vintage aesthetics and mystique." The debut album, Ouija is full of doomy, slow grooves. There's something occult in the riffing, and the classic doom drumming by the great Mark Greening meeting the warm vocal melodies of Virginia Monti. The album features six songs, about 33 minutes of unreleased music. Recorded in October of 2016 at the Chuckalumba, the same studio where Electric Wizard's Dopethrone (2000) was recorded. 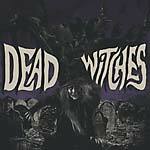 Beware as the witches are coming to take your soul. RIYL: Electric Wizard, Sleep, Pentagram.